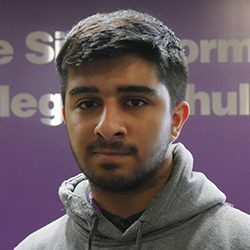 Taha Ayyaz has chosen a progression route that is slightly different to the traditional university route. He applied and was accepted onto the PwC Flying Start degree programme. On completion of his A level studies in Business, Chemistry and Mathematics in 2016, he has joined this programme to get both the university experience and the apprenticeship experience. As well as studying for a degree at the University of Nottingham, Taha will complete work placements in the PwC offices during his second, third and fourth years of study, getting paid for the 3-month placements he does. He will come out of this programme with Association of Chartered Certified Accountants accreditation, ready to go straight into employment as a chartered accountant.